I used to play with LEGOs all day every day when I was a kid, then I got into programming and left it be. Now, after seeing The LEGO Movie, I got inspired to buy a LEGO set again (I got the Sea Cow 70810) and I had a great time building it. 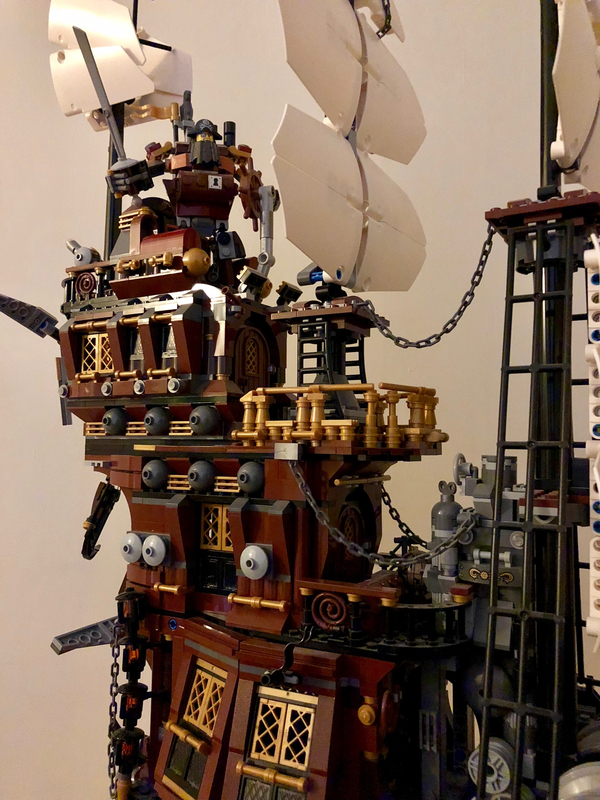 I decided to take the fun to the next level with a MOC -- so I bought the same set again and decided to turn it into a giant ship. I'll post pics, just uploaded them. My new project is building the Rollercoaster 10261 set, and studying it. I want to buy the set probably 3-4 times total down the road and build a giant rollercoaster machine. I also want to get LEGO mindstorms in there (or what's the most recent version?) to make it really cool and special. I have a background in programming and CAD so I have a lot of 3D tools on my hands to be able to design the quality track etc before building it and keep iterating on the design. Welcome! I don't know about others, but that pic you posted isn't showing up for me. Welcome, that second picture did show up, looking good! Always great to see people from the Benelux join :) We even have a 'deals' thread especially for us here.